Benefit from our fully-equipped particle analysis laboratory and lab staff to help you with sample analysis and method development. 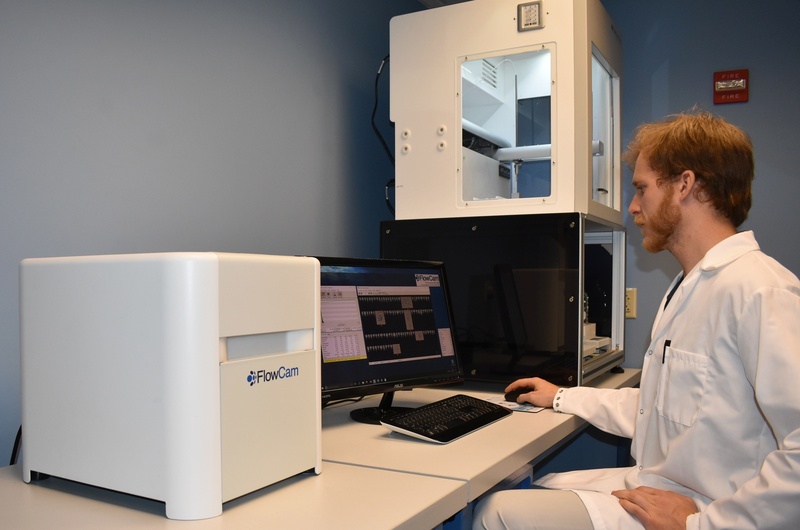 Our on-site particle analysis laboratory is equipped with the latest FlowCam® flow imaging microscopes and VisualSpreadsheet® software to ensure optimal particle analysis results. a follow-up webinar to discuss the results of your data. Five business day turn-around-time guaranteed. the development of Standard Operating Procedures (SOPs) that you will be able to use in your laboratory with your staff. Fill out the form to the right to schedule a Particle Analysis or Method Development service with our customer support team. Check out this case study and learn how our Particle Analysis Services helped a formulation scientist determine if his protein samples passed the USP <788> standard, and also detected and assisted in the elimination of a detrimental experimental variable (buffer particulates).